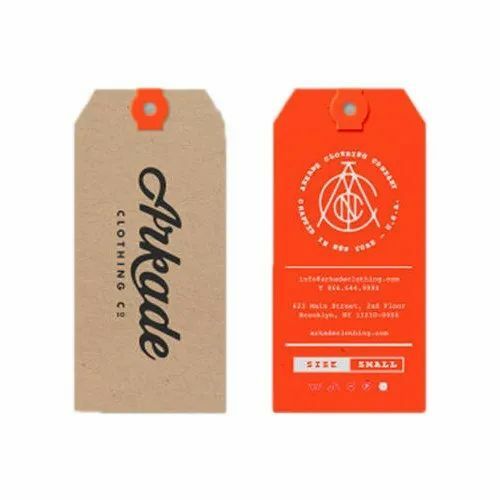 Being a customer oriented organization, we are deeply engaged in offering a wide array of Printed Cloth Hang Tag. “Jagannath Print O Pac” is a distinguished manufacturer of a wide range of Paper Carry Bag, Cloth Hang Tag, Luggage ID Tag, etc. Founded in the year 2015, we are a Sole Proprietorship company that is incepted with an objective of providing high quality products in diverse specifications within scheduled time period. Situated in Noida (Uttar Pradesh, India), we manufacture the products in accordance with set industry norms. In addition to this, we are also involved in offering best-in-class Printing Services to our esteemed clients. Under the headship of our mentor “Mr. Pawan Tiwari”, we have gained huge clientele in our country.